Padraig Óg Ó’Ruairc looks at the existence or lack thereof of sectarian violence in Clare during the War of Independence. For more from Padraig read his books, or his excellent website. This has been used to insinuate that sectarianism and ethnic cleansing were a general characteristic of the war itself throughout Ireland – thus challenging the legitimacy and morality of the whole War of Independence. These claims have proved highly controversial and have already been publicly challenged by a number of historians including Meda Ryan, Brian Murphy and John Borgonovo. However I feel it is necessary to ask whether any of these claims prove true in relation to the War of Independence in Clare (The Irish Story has covered some of these issues generally here, here and here). According to the 1911 census, County Clare had the smallest Protestant population of any Irish county, 98.14% of the population were Roman Catholic. There were just 1,913 Protestants in the county, of whom 1,709 belonged to the Church of Ireland. In September 1911, two Protestant members of the County Clare Unionist Club, Colonel George O’ Callaghan Westropp and Henry Valentine Macnamara, addressed a meeting of the Hollywood Unionist Club in Co. Down. O Callaghan was a former Lieutenant Colonel in the Clare Artillery and a landlord with two hundred tenants. Macnamara owned a 4,000 acre estate in North Clare on which there were five hundred tenants. He was later appointed High Sheriff of Clare. I.R.A. Veteran Thomas Shaloo later described him as ‘… a most unpopular landlord and a bitter enemy of Sinn Fein…’  Macnamara claimed at this meeting that Protestants in Clare were subject to boycott, discrimination and sectarian attack. Undoubtedly there must have been some religious bigots of both denominations in Clare at the time, however the above comments show that sectarianism was not a prominent or defining feature of life in Clare at the beginning of the War of Independence. Although support for the I.R.A. and Sinn Fein in Clare during the War of Independence was overwhelming Catholic it was by no means exclusively so. This reflects the fact that the war was not at its core about religion – the central issue being the political question of independence for Ireland. Though the majority of Clare Protestants were pro-British loyalists, a small number of Clare Protestants were active republicans in the period. These included Maire de Buitleir an Irish language activist with Conradh Na Gaeilge who helped Arthur Griffith found the early Sinn Fein party and was credited with naming the organisation. Mary Spring Rice from Limerick was secretary of the Clare board of the Irish Volunteers in the early years of the movement. Ernest Blythe a Presbyterian republican from Lisburn Co. Antrim was appointed an organiser and training officer to the Irish Volunteers in Clare in May 1915. He was so enthusiastic in this endeavour that he was deported under the Defence of the Realm Act within a few weeks. Ernest Blythe a Presbyterian republican from Lisburn Co. Antrim was appointed an organiser and training officer to the Irish Volunteers in Clare in May 1915. He was so enthusiastic in this endeavour that he was deported under the Defence of the Realm Act within a few weeks. After the 1916 rising Nelly O’ Brien, who founded the ‘Craobh na gCuig gCuigi’ Irish college at Carrigaholt, endeavoured to organise support for Sinn Fein amongst her fellow Protestants in county Clare. Another Protestant republican Constance Markievicz, who had been sentenced to death for her part in the 1916 rising, played a prominent role in canvassing for Eamonn de Valera and Sinn Fein during the East Clare by-election of 1917. William Charles Doherty was a supporter of Sinn Fein’s anti-Conscription campaign in 1918. Dr. Pearson of Lisdoonvarna, an Ulster Protestant, was very friendly with leading members of the I.R.A.’s Mid Clare Brigade and at great personal risk treated wounded I.R.A. volunteers following the Monreal ambush in December 1920. Pearson was suspected of republican sympathies by the R.I.C. and Black &Tans and was subject to harassment and intimidation on account of this. The British forces at the time did not accuse the I.R.A. in Clare of being motivated by sectarianism. John M. Regan a Catholic member of the R.I.C. and later R.U.C. was stationed in Clare for five years from 1909 – 1914. Although a full chapter of his memoirs details his time in Clare he does not mention sectarianism being an issue in Clare at the time, although he did comment upon the sectarianism he experienced after being transferred to Fermanagh. Regan observed ‘the further one gets from Belfast the less sectarianism there is generally’. One disturbing aspect of the War of Independence period in Clare that was undoubtedly sectarian were the arson attacks on Protestant churches in the county. However contemporary documents indicate that the I.R.A. were not responsible for these. Two Protestant churches suffered arson attacks during the War of Independence in Clare. The Protestant church at Clarecastle was destroyed in a malicious fire on 17 April 1920 the churches was disused at the time, due to the falling Protestant population. It had been reliant on Ordinance workers during the Great War to form a congregation and after their departure the local Protestants attended the surrounding churches instead. The church had been deliberately set on fire with paraffin oil. A resolution of sympathy addressed to the Church of Ireland on behalf of the residents of Clarecastle was drawn up by the local council following the burning of the church. Amongst the signatories was the local Sinn Fein councillor, B. Mescall. The County Inspector’s statement that the motive of the attack was to ‘introduce religious strife’ into the war implies that the nature of the war was not sectarian up to this point. Also the fact that ‘Sinn Feiners’ joined the R.I.C. in putting out the fire and saving the church makes it unlikely that local republicans were responsible for the attack. 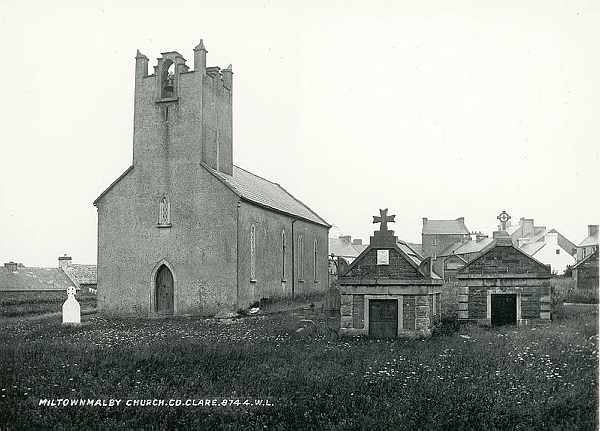 During the Civil War, the Protestant church at Milltown Malbay was burned down on 14 December 1922. Although this took place a year and a half after the end of the War of Independence, it is significant because some sections of the public assumed that the I.R.A. was responsible. This was sternly denied by the local I.R.A. leader Anthony Malone in a letter to Frank Barrett commander of the I.R.A.’s 1st Western Division. One of the key arguments made by those who claim that War Of Independence was a sectarian conflict is that the I.R.A. in West Cork and other areas used the issue of spies and informers to mask a sectarian campaign of ethnic cleansing against Protestants. Historian Peter Hart suggested that the I.R.A.’s targeting and execution of spies ‘had little or nothing to do with the victims’ actual behaviour’ but was based instead on their religion, according to Hart as the I.R.A.’s military campaign increased in intensity towards the end of the war ‘…anti-Protestant violence rose along with it.’  Others have claimed that the I.R.A. was ‘unmerciful’ in their treatment of suspected informers. These theories often do not withstand close scrutiny. Tom Barry’s 3rd West Cork Brigade of the I.R.A. executed fifteen suspected spies during the War of Independence, of whom a majority of nine were Catholic and a minority of six were Protestant. The three suspected spies executed by the I.R.A. during the War of Independence in Galway were all Catholics; as were all seven suspected spies executed by the I.R.A. in Limerick. So even if it could be proved conclusively that the I.R.A. in Cork had engaged in a sectarian campaign against Protestants –the above figures show the dangers of assuming that the experience of one county during the war was reflective of the country as a whole. The fact that, in the first fourteen months after the East Clare Brigade issued the proclamation no suspected spies were executed by them, shows that despite the harsh and direct tone of the proclamation, the I.R.A.’s East Clare Brigade was not ‘trigger happy’ when it came to executing suspected spies regardless of their religion. When theI.R.A in Whitegate suspected that the telephone in village’s post office was being used to send intelligence information about republican activities to theR.I.C. 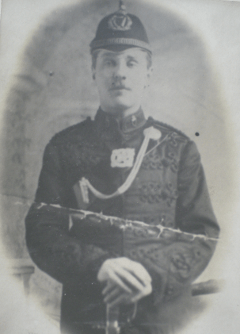 The local postmaster Richard Copithorne, a Protestant unionist from Cork was suspected. In response, two I.R.A. volunteers, Paddy Mc Inerny and Thomas Mc Namara were sent to raidthe post office. On 26 April 1921 they held up Copithorne at gunpoint and forced him dismantle the telephone’s mechanism. After Copithorne assured the two IRA Volunteers that the phone had been disabled they left. The fact that Brennan refused to sanction the execution without ‘direct proof’ shows that he was fair and thorough in his investigation of suspected spies. The suspect’s religion was not mentioned by Brennan and does not appear to have been a factor in his treatment of the case. The only Protestant civilian killed by the I.R.A. in Clare was Alan Cane Lendrum an ex-British Army Captain who had been appointed Resident Magistrate in Kilkee. On 22 September 1920 a group of I.R.A. Volunteers shot dead Lendrum at Caherfeenick railway crossing, near Doonbeg in West Clare. According to Liam Haugh O/C of the West Clare Brigades Active Service Unit the aim of the operation was to commandeer Lendrum’s car not to kill him. Generally, relations between the British forces and local Protestants and Unionists were good during the War of Independence however they occasionally suffered material and financial losses at the hands of the British forces. British born Black and Tans and soldiers cared little about the intricacies of Irish politics, knew even less, and regarded all Irishmen as potential Sinn Féiners. A similar incident happened in Killaloe in the wake of the murder Michael Egan and three captured I.R.A. Volunteers Martin Gildea, Alfred Rodgers and Michael Mc Mahon on 16th November 1920. R. C. Grey the retired English Civil servant mentioned above, wrote a pamphlet detailing and condemning the murders. This was published under the title ‘The Auxiliary Police’ by the ‘British Peace with Ireland Council’ in London. Grey who had waived his right to anonymity in the pamphlet was soon suffering intimidation from the R.I.C. and Auxiliaries stationed in Killaloe and eventually had to leave the area after receiving death threats. One of the popular images of the War of Independence is of the I.R.A. burning the large country estate houses of Loyalists. Often this is interpreted as a ‘land grab’ so the republicans could gain control of these estates, sometimes these burnings are interpreted as a sectarian act of ethnic cleansing against southern Protestants. Because of this enduring popular image I have heard the republicans of Clare during the War of Independence referred to derisively as ‘paraffin Nationalists’. However the reasons why the I.R.A. burnt the houses of Clare Protestants during the War of Independence are far more complex than this. However the stately houses of loyalists were not solely burned on account of their owner’s politics, or as a means of counter-reprisal to stop British burnings. Large estates belonging to the supporters of British rule in Ireland were also burned by the I.R.A. to prevent them being used as temporary barracks by the British forces. As the I.R.A. continued to attack and destroy R.I.C. barracks during the war it became common for units of the British forces, in particular the British military and the R.I.C. Auxiliaries, to commandeer large stone buildings suitable for defense as temporary barracks. These buildings often included town halls, workhouses and courthouses in urban areas and large country estate houses in rural areas. From May of 1921 sanction for all such operations were supposed to be obtained from the Brigade Commandant and Divisional Headquarters, who in turn had to inform I.R.A. General Headquarters in Dublin of the proposed action. Ideally in an established professional army these military orders would have been followed to the letter. However the I.R.A. was not an established professional army, it was a volunteer guerilla army and it was often difficult or impossible for local I.R.A. commanders to receive official approval for these attacks and some took the initiative without seeking or waiting for confirmation. On 18 May 1921 a failed attempt was made to burn down Kilmore house in Kilrush, only a small amount of damage was done to the building’s front door and windows. The R.I.C. stated that the motive ‘appears to be jealousy against Behan (the caretaker) as there were other candidates for the position.’  The house had been owned by Francis W. Hickman an-unpopular figure locally whom Liam Haugh described as ‘a rack renting landlord.’ However he had died almost four years previously in 1917. Hickman’s son Thomas joined the R.I.C. Auxiliaries and gained a notorious reputation in the Longford / Roscommon area. In response to the burning of the family homes and businesses of known I.R.A. members by the R.I.C., the I.R.A. had begun arson attacks on the family homes of men who had joined the Black & Tans and the Auxiliaries in both Britain and Ireland – this is one possible reason that Kilmore house was targeted. On 21 March, 1920 Mr. Martin an Ulster Protestant who worked as a steward at Kilmore House shot at a group of I.R.A. Volunteers who were approaching the house to enforce a decision passed by the local Dail court against Hickman. The I.R.A. returned fire, and in the shoot-out one of the I.R.A. men accidentally shot and mortally wounded I.R.A. Volunteer Patrick Hassett. In the confusion that followed, the republicans wounded Martin and left assuming he was dead. Martin made a full recovery, resigned his position and returned to his home in the North. Following this, a party of British soldiers were stationed at Kilmore House. In August 1920 the soldiers were evacuated after the I.R.A. ambushed their supply lorry. 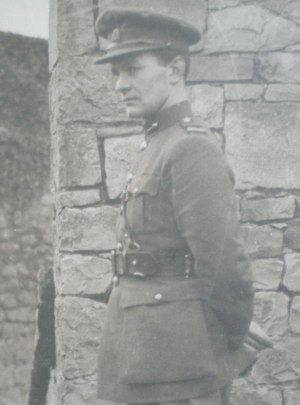 Martin was replaced as steward of Kilmore by Richard Behan. There are a number of possible motives why Kilmore was burnt; the family’s unpopularity with their tenants in previous years, jealousy of Behan as cited by the R.I.C., the use of the house by the British Army, or Thomas Hickman’s membership of the Auxiliaries. On 5 July 1921, Hazelwood House in Quin, another property belonging to the Hickman family, was burned down by the I.R.A. Hazelwood and its contents were valued at one hundred thousand pounds. Clare was one of the most militant and active counties in terms republican attacks during in the War of Independence, however the pattern and development of the war in Clare does not suit the newly proposed sectarian thesis promoted By Hart, Harris, Myers et al. No Clare Protestants were executed by the I.R.A. as suspected spies. Only one Protestant civilian was killed by the I.R.A. in Clare, this appears not to have been premeditated and the circumstances of this incident do not imply sectarianism. Finally there were legitimate non-sectarian political and military reasons why the I.R.A. burned houses and property belonging to Protestants during the final phase of the war of Independence. Hart’s claim that ‘sectarianism was embedded in the Irish revolution, north and south’ certainly cannot be justified or supported by the nature of I.R.A.’s campaign in Clare during the War of Independence. It seems clear that whilst the conflict in some of the most north-eastern counties had a definite sectarian and tribal element, in the vast majority of other counties throughout Ireland it did not. The proclamation of the Irish Republic in 1916 which embodied the ideals that Sinn Fein and the I.R.A. claimed to be fighting for during the War of Independence had stressed that the Republic guaranteed ‘equal civil and religious liberty to all its citizens regardless of the differences carefully fostered by an alien government that have divided a minority from the majority in the past.’ De Valera Sinn Fein T.D. for East Clare and the President of the Irish Republic on a tour of the United States in 1920 declared. 9. Irish News quoted in the Clare Champion January 24 1914. 13. Note: The regimental chronicle does state that Loyalists – a political and not religious term since the O Shaughnessy’s of Ennis who the I.R.A. described as being ‘Loyalists’ were Catholics – were ‘… in constant danger of seeing their houses burned and their motor cars purloined…’ however there were military reasons for such actions which were recognised in some cases by the British forces. It does not state that there was religious or sectarian persecution of Protestants. 29. U.C.D. P7 / A/18: Mulcahy to Brugha, 14 May 1921. 37. County Inspectors report May 1921. Written by: PadraigOgORuairc on 3 December, 2010. Last revised by: John_Dorney5 May, 2012. 4 Responses to "‘The distinction is a fine but real one.’- Sectarianism in County Clare during the War of Independence"
Lieutenant Henry Pearson was from 13 Victoria Terrace Limerick. He was attatched to the Engineers Regiment of the Free State Army and had the rank of Captain. He was injured in Clashmealcon on 16th of April by a bullet wound to the left thigh which turned gangrenous. He died in the Infirmary in Tralee on 18th of April 1923. His remains were taken to the Trinity Protestant Church and from there to St Mary’s Cathedral Limerick. There is nothing so despicable as our own ‘intelligentsia’ resurrecting and exaggerating misinformation. Any true-born Irish person knows the real history of who the abusers were and who the abused. My mother’s paternal family were driven off their ancestral lands in South East Clare, in the hills behind Bunratty Castle, in the late eighteen hundreds. They ended up as poor working class in Limerick City. Their land is still known as Reddans Hill. Will Peter Hart, Kevin Myers, Eoghan Harris and other ‘apologists’ for the British and Unionist cause (I consider Fintan O’Toole’s past one-eyed rantings and ravings against Nationalists and Republicans in Ireland as another ‘apologist’) cry into their English Breakfast or Earl Gray Tea for the Reddans and many more like them? In a curious twist of fate, here in Australia I met a descendant of the heartless and unscrupulous Landlords (Vandeleurs) responsible for such forced removals from the Atlantic Ocean to the Shannon River in Clare. Though his name is not now Vandeleurs, he was decent enough to acknowledge the wrongs of his ancestors and gave me an unexpectedly genuine apology. Sic Transit Gloria Mundi!